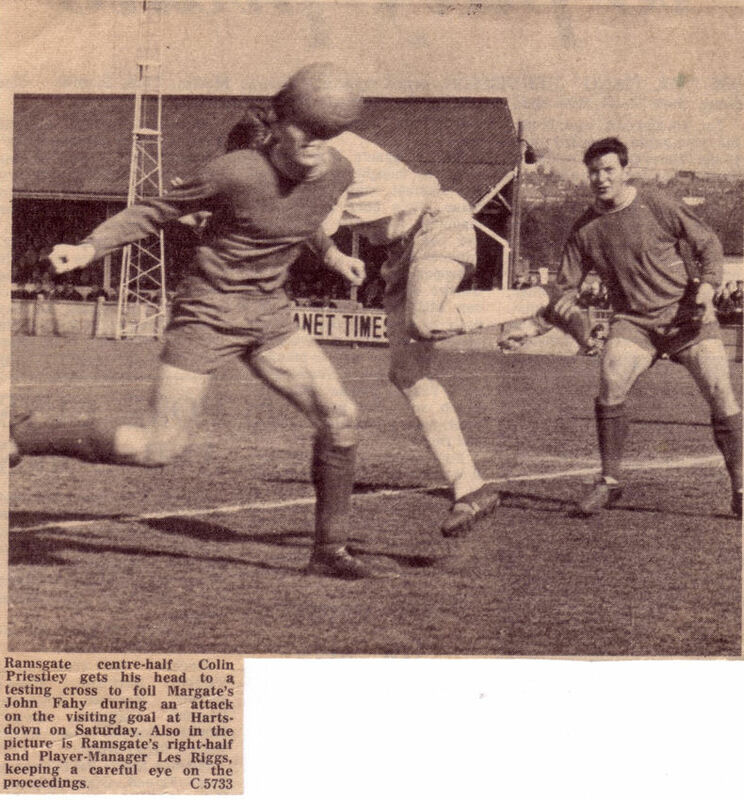 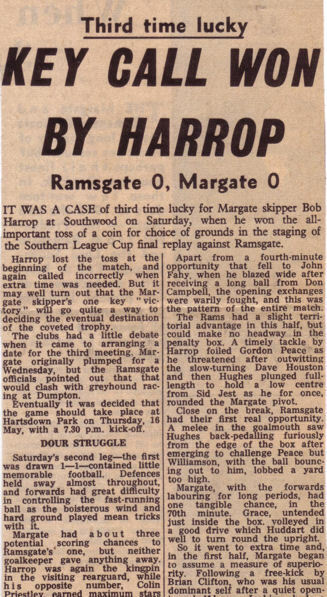 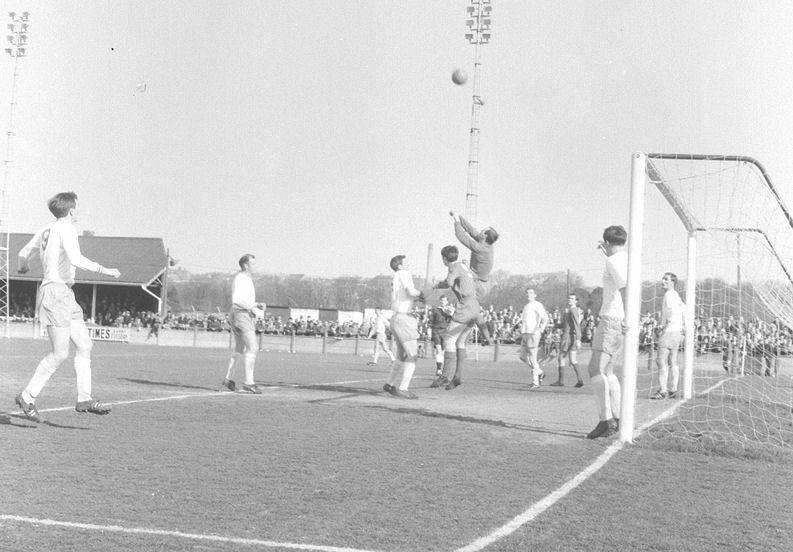 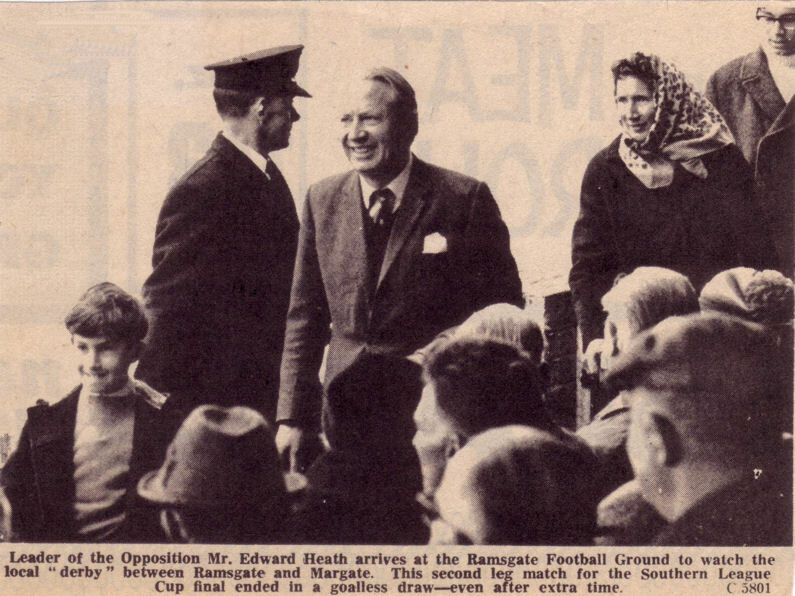 For the first time in the competition's history Margate and Ramsgate met in the final of the Southern League Cup during the 1967/68 season. 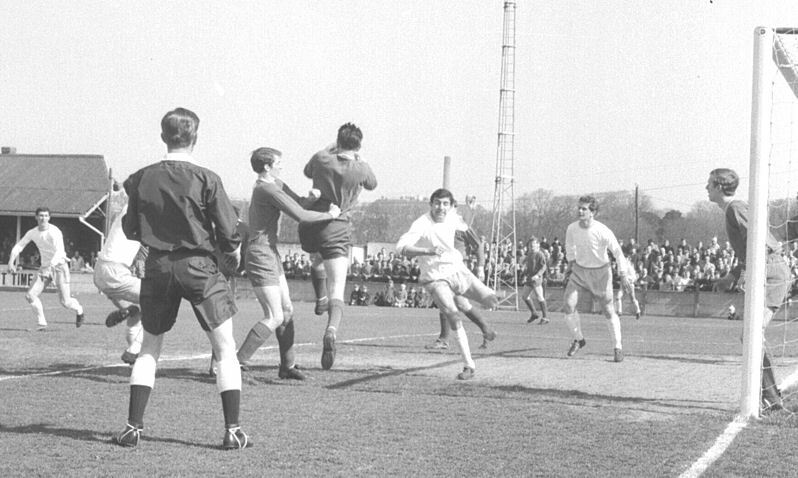 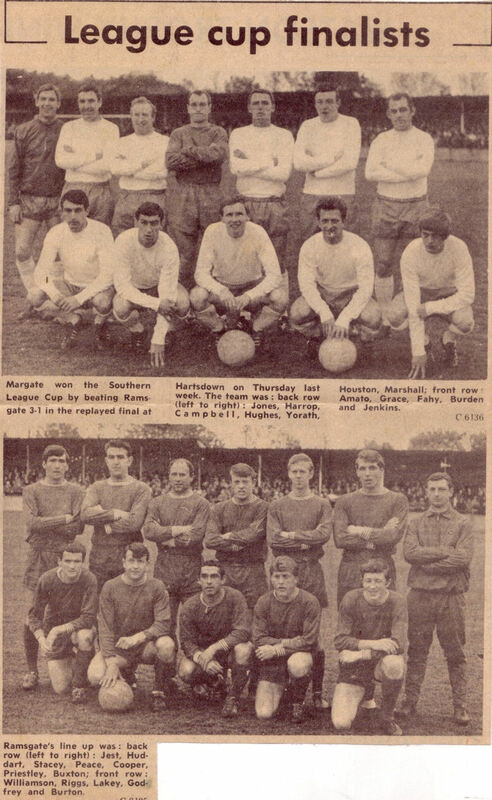 The first leg at Hartsdown Park on 6.4.68 finished 1-1 with Tommy Marshall scoring the Margate goal and then the two sides played out a 0-0 draw at Southwood on 13.4.68. 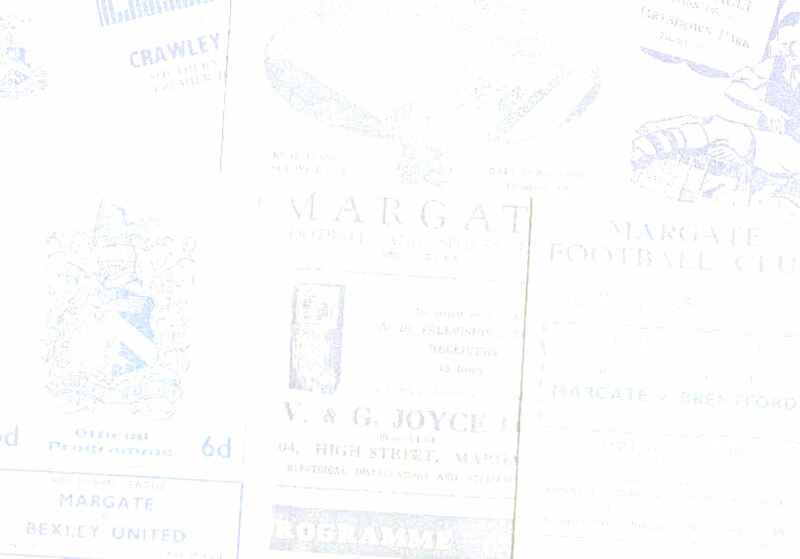 With the aggregate scores level at 1-1 a replay at Hartsdown Park on 16.5.68 saw Margate win 3-1 thanks to a John Fahy hat-trick in his last match for the club. 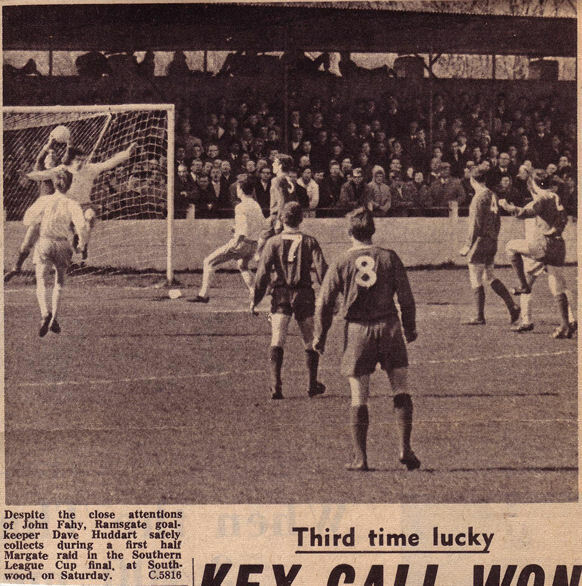 The total attendance for the three games was 11,605. 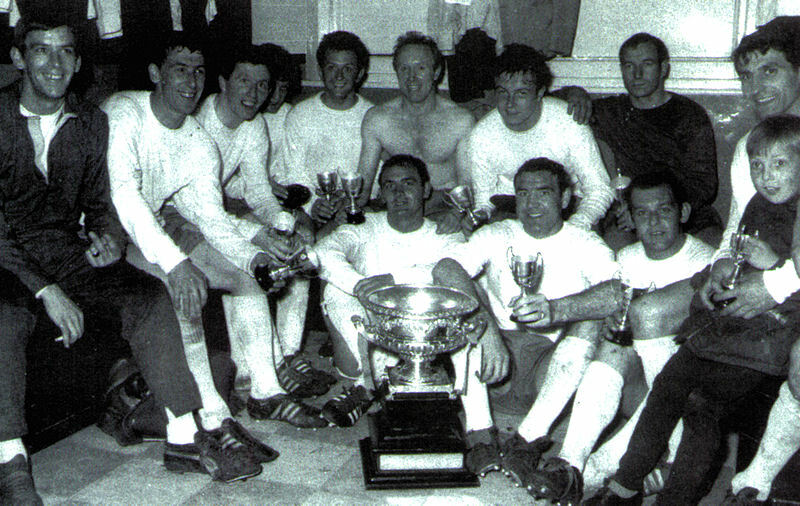 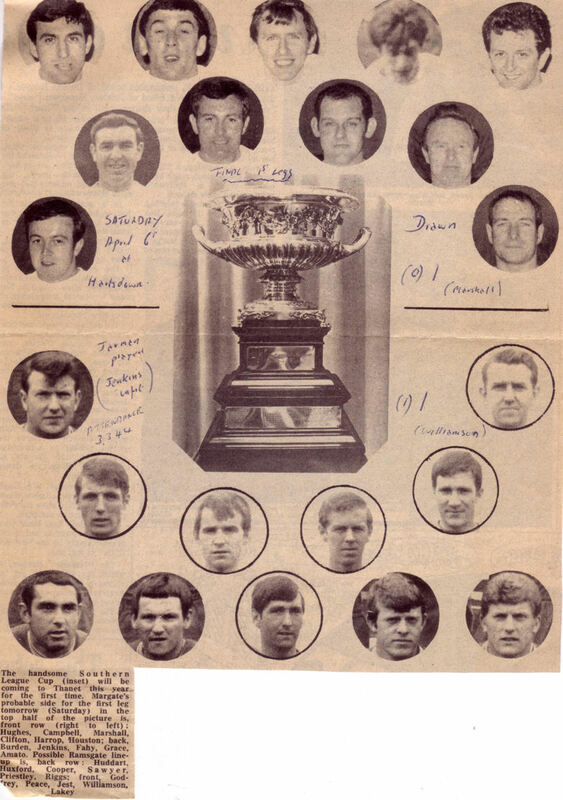 Seated (left to right) - Peter Jones, Derek Grace, John Fahy, Tommy Jenkins (partially hidden), Gordon Burden, Don Campbell, Davie Houston, Brian Hughes, Phil Amato. 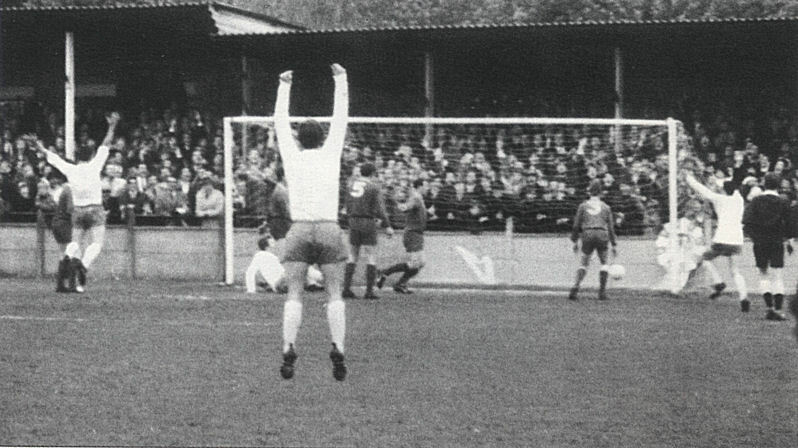 On the floor - Dai Yorath, Bob Harrop, Tommy Marshall.